It’s been a few months since our last roll-up of top developer stories, so I’ll be catching up with the news from last fall in two posts. We’ll start here in Part 1 with Visual Studio, .NET, ASP.NET, languages, and a few other tools for good measure. Part 2 will cover a variety of topics including Connect(); //2015, Windows 10, cross-platform development,. Visual Studio Code, and a number of other goodies. So let’s get started. The C# Interactive Window and the command-line C# REPL window. (The Interactive Window is the REPL window inside Visual Studio.) For a quick demonstration, watch Kasey Uhlenhuth’s video on Channel 9 (11m 41s). Edit and Continue support for /BigObj in C++, brings this powerful debugging feature to Windows Store C++ projects. Pull requests in the Team Explorer window through the Pull Requests hub, which shows your requests and those from others. 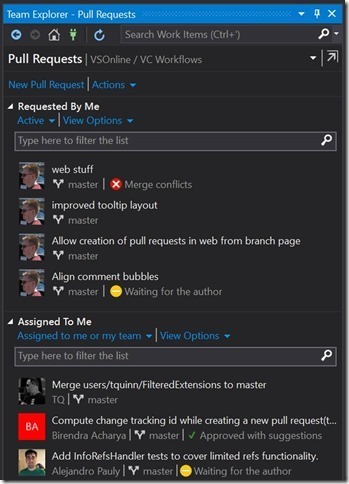 Visual Studio Update 1 also improves the Create Pull Request experience so you can publish branches and create pull requests in a single action. On the .NET front: The .NET Framework 4.6.1 announcement got plenty of attention with a variety of improvements, including some for WPF as explained also by Harikrishna Menon in his separate post. There’s also an interesting post by Omar Khudiera of Pangea Engineering called Why .NET? with some comparisons to Go and Java. 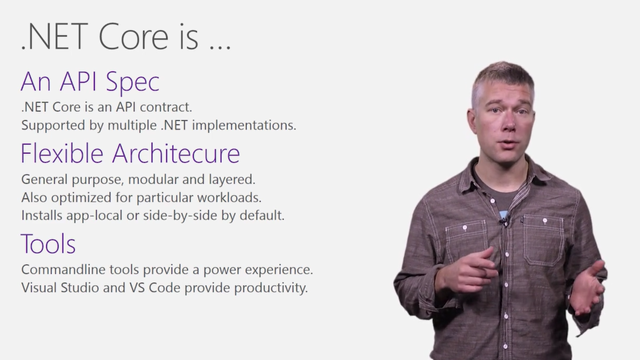 Then we have the open-source, cross-platform .NET Core (now officially .NET Core 1.0) that is also gaining momentum, and the Introducing .NET Core video (7m 8s) by Richard Lander gives you the overview. .NET Core is also an integral component of Universal Windows apps in Windows 10, as explained in the short video .NET for UWP: CoreFx (3m 8s) by Lician Wischik. But that’s not all—because .NET Core can run on any platform, it’s also suitable for Linux, which means it can be used in Docker containers as well. Elton Stoneman explains this in Getting Started with .NET and Docker. With Docker, too, Adarsha Datta wrapped up a series on Docker: Containerize your Startup, the earlier parts of which we highlighted last summer. 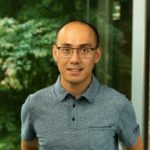 ASP.NET: You may have just read on the ASP.NET blog (or Scott Hanselman’s) that ASP.NET 5 is now officially called ASP.NET Core 1.0 to go along with .NET Core 1.0 and Entity Framework 1.0 (which was Entity Framework 7). The naming change underscores the fact that the former “ASP.NET 5” was not a replacement for ASP.NET 4.6 and that we’re really entering a new space with the “Core” releases—“a fork in the road” as Hanselman describes it. That said, you’ll still find quite a few entirely applicable resources on “ASP.NET 5” including Scott Hunter’s video, Introducing ASP.NET 5 and Web Tooling (14m 51s), Dan Wahlin’s longer discussion in Modern Web Development (48m 8s), and Abhinaba Basu’s post, Publishing an ASP.NET 5 Web Application to IIS locally. And of course, fun things continue to happen in ASP.NET 4.6, such as WebHooks, as Scott Hanselman covers in Introducing ASP.NET WebHooks Receivers – Webhooks made easy. He also has a great post on simulating a low bandwidth connection. Finally, on behalf of everyone who has enjoyed working with and for Soma Somasegar, we wish you a fond farewell as you wrapped up 27 years of service at Microsoft! To enjoy a look back through his career and all the changes that have taken place during that more than a quarter-century, check out Mary Jo Foley’s exit interview with Soma. In one response he says, “I am a strong believer in developer choice and meeting developers where they are. Microsoft has been all about building great tools and platforms and letting developers make the choice of what they want to use and when.” That legacy, I know, pervades the work we do in Microsoft’s Developer Division, and will persist long into the future.